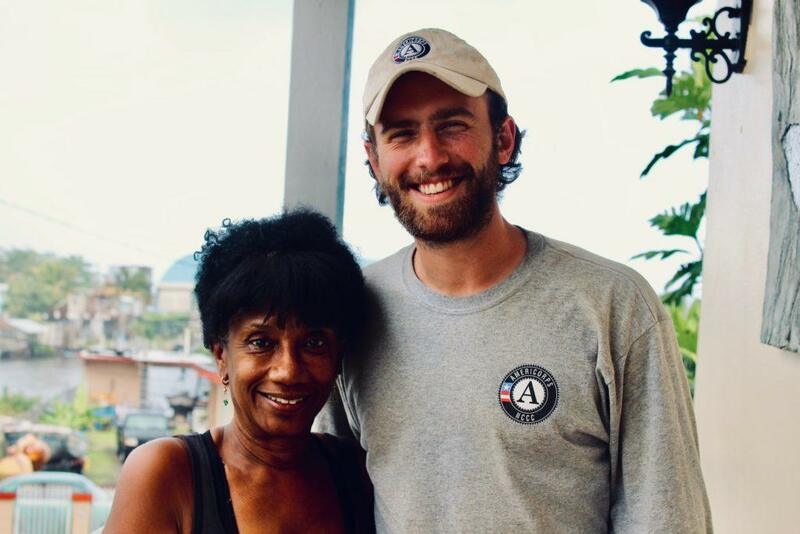 Sol and her 27-year-old son Angel possess every trait we’ve seen time and time again in the Puerto Rican people – they are warm, welcoming, thoughtful, and generous, just to scratch the surface. Most of the conversation was channeled through Angel, a strong English speaker, who would pause occasionally to translate for his mother. It began as our conversations with homeowners normally do – details about the family, careers and so forth. However, a discussion that was initially aimed at unfolding the events of their own story quickly changed focus. When asked about the damage to their home, they assured us it was minimal compared to what many other Puerto Ricans had experienced and continue to live through. More concerned with the well-being of others, Angel spoke empathetically of neighborhoods still dark at night due to hurricane-damaged street lights that have yet to be fixed, and families who continue to live in tarped homes. Deceived by their humility, we were shocked when we finally saw the damage to their house, which was much more significant than expected – they had received major blows to the roof and windows, and many of the rooms on the second floor were damaged. Sol enthusiastically expressed her gratitude for our help with this and said paying for it on her own would have been impossible. Speaking with Sol and Angel provided an interesting first-hand perspective of life in Puerto Rico, the effects of being a US territory and the ongoing difficulties of receiving disaster relief assistance. Our Staff met Sol by canvassing her neighborhood looking for people who needed help. In her words, she “saw the heavens” when our volunteers arrived their first day.